Having gathered some of the world’s top leading regenerative physicians and scientists with post-doctorates from leading Ivy League Universities specializing in the field of proprietary methods of Nano Encapsulation, StemBioRX Inc. – a medically focused company – are setting a new standard in their field of the production of health, wellness and skincare products. As a holistic wellness-focused company with an emphasis on scientific methods, StemBioRX is using breakthrough technology to become cutting edge in the fight against ageing, weight gain and a multitude of conditions including chronic pain, arthritic pain, anxiety and sleeplessness. Utilizing specific active ingredients from Hemp and other Cannabinoids, leading scientists are using a method called “Hy Fusion Nano Encapsulation” to provide you with one of the highest potency bio-availability of active ingredients in both liquid and powder form. In combination with MD Actives, these natural ingredients have an extraordinary exponential result for your health and wellness needs. Cannabidiol (CBD) is an incredibly healing, non-psychoactive component of the Hemp plant. There are many proven benefits of CBD to your health, including for the relief of pain and inflammation, the reduction of anxiety and the promotion of cardiovascular health. Combined with MD Actives, this proprietary patent-pending blend formulated by renowned regenerative scientists produces an exponential effect to aid you in achieving wellness in your life. StemBioRX’s breakthrough technology provides you with a wealth of health and wellness solutions, including products to help you with pain relief, relief of occasional sleeplessness, weight loss and relief from nervous tension and fatigue. Skincare products are specially formulated to bring you scientifically proven anti-ageing results. StemBioRX’s CBD Hemp for Pain product can be effective for the relief of chronic pain, arthritic pain, back and joint pain, headaches and migraines and neuropathic pain amongst others without having the negative addictive side-effects found in opioid-based pain medication. StemBioRX’s Pure Sleep product combines highly active natural ingredients formulated by renowned scientists to aid in the reduction of anxiety, thereby reducing difficulties and improving the quality of your sleep. The combination of reduced anxiety and better sleep improves quality of life and leaves you feeling energized and confident. CBD’s anti-anxiety properties may be extremely beneficial in the treatment of a number of anxiety disorders including panic disorder and mild to moderate depression amongst others, which is what StemBioRX’s Pure Tranquility product targets. Today, many people are searching for natural weight loss solutions as we become more conscious of the health benefits of maintaining an optimal weight, especially in the prevention of weight-related health complications such as diabetes and heart disease. CBD has a proven impact on metabolism and StenBioRX’s world-renowned physicians have worked hard to create a cutting-edge product that incorporates natural active ingredients proven to result in dramatic weight loss leaving you feeling healthy, well, and energized whilst reducing the risk of health complications due to weight. Revolutionary, clinically proven skincare products created from innovative patent-pending Stem Cell technology,derived from adipose tissue, is “Changing the face of anti-ageing skincare”. Ranging from an Eye Serum to correct wrinkles, puffiness and dryness around the eye contour which is most susceptible to visible signs of ageing; to a Face Serum which will bring back a “youthful glow and radiant skin” and a Brightener which will reduce the appearance of darker skin and the effects of melanin leaving the client with more beautiful skin that seems lit from within, these products result in younger-looking skin superior to other skincare brands. StemBioRX has gathered together the brains of their field to provide you with medically-focused, scientifically proven, cutting edge natural products designed to leave you feeling well and healthy. Products provide you with holistic wellness, from pain relief to good sleep and relaxation to weight loss and anti-ageing products – StemBioRX has worked hard to provide you with the means to a life of wellness, health and happiness, giving you the confidence and energy to pursue your dreams and live a better life. 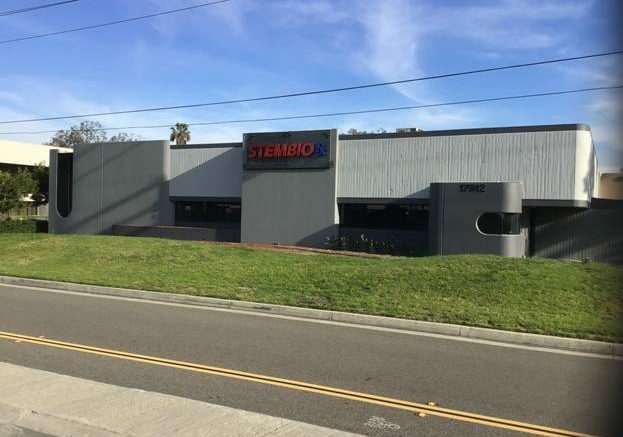 Be the first to comment on "StemBioRX Inc. is fast becoming the world leader in CBD and Stem Cell based health and skincare products by creating the new standard in this explosive industry"